In fiber optic communication, the visible-light or infrared (IR) beams carried by a fiber are attenuated as they travel through the material. Then there comes to the fiber optic amplifier which is used to compensate for the wakening of information during the transmission. Amplifiers are inserted at specific places to boost optical signals in a system where the signals are weak. This boost allows the signals to be successfully transmitted through the remaining cable length. In large networks, a long series of optical fiber amplifiers are placed in a sequence along the entire network link. 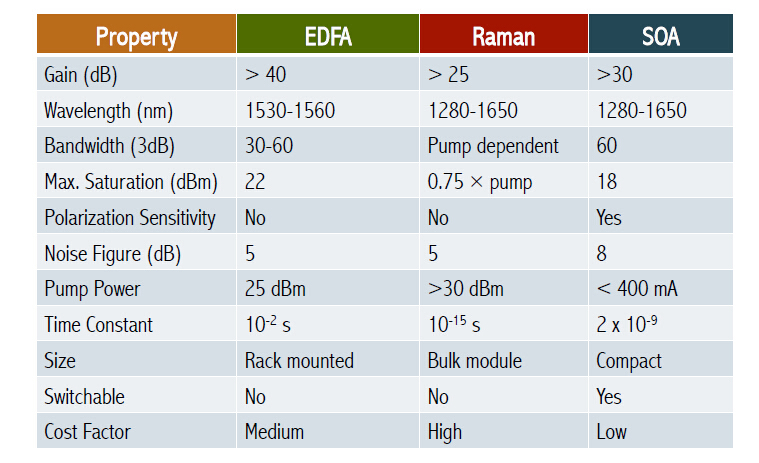 Common fiber optical amplifiers include Erbium-Doped Fiber Amplifier (or EDFA Optical Amplifier), Raman fiber amplifier, and silicon optical amplifier (SOA). 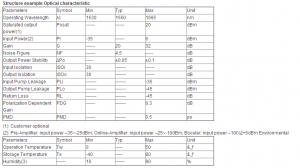 Erbium doped fiber amplifier is the major type of the fiber amplifier used to boost the signal in the WDM fiber optic system, as we know it is WDM that increase the capacity of the fiber communications system and it is the erbium-doped fiber amplifier that makes WDM transmission possible. 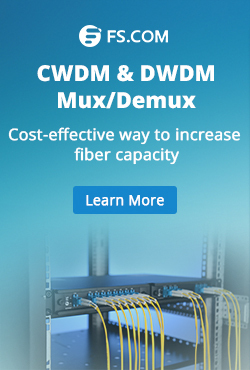 Fiber amplifiers are developed to support Dense Wavelength Division Multiplexing (DWDM) which is called DWDM EDFA amplifier and to expand to the other wavelength bands supported by fiber optics. There are several different physical mechanisms that can be used to amplify a light signal, which correspond to the major types of optical amplifiers. In doped fibre amplifiers and bulk lasers, stimulated emission in the amplifier’s gain medium causes amplification of incoming light. In semiconductor optical amplifiers (SOAs), electron-hole recombination occurs. In Raman amplifiers, Raman scattering of incoming light with phonons in the lattice of the gain medium produces photons coherent with the incoming photons. Parametric amplifiers use parametric amplification. 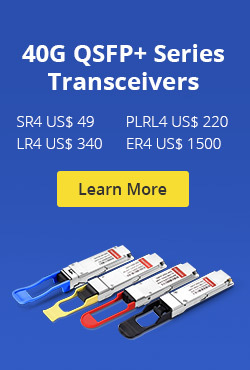 EFDA fiber optic amplifier functions by adding erbium, rare earth ions, to the fiber core material as a dopant; typically in levels of a few hundred parts per million. 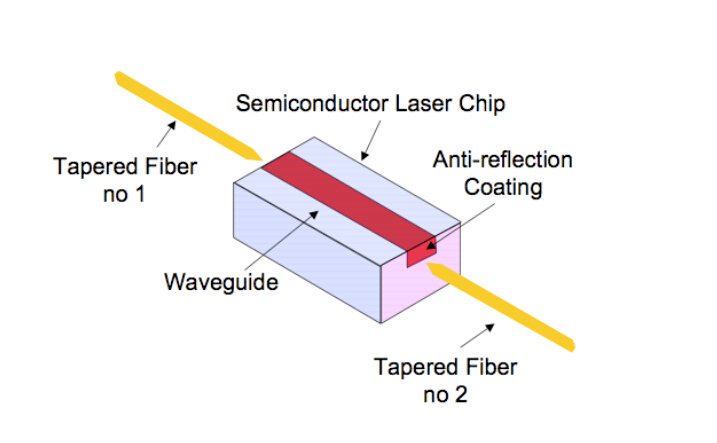 The fiber is highly transparent at the erbium lasing wavelength of two to nine microns. 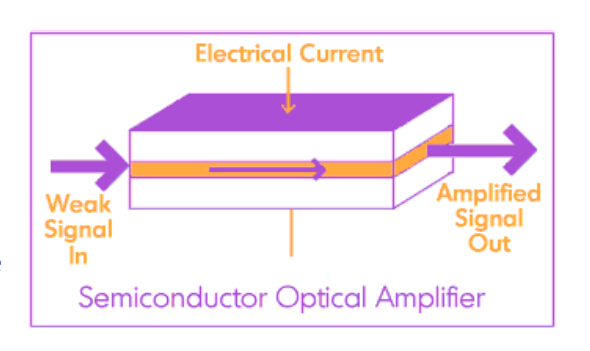 When pumped by a laser diode, optical gain is created, and amplification occurs. 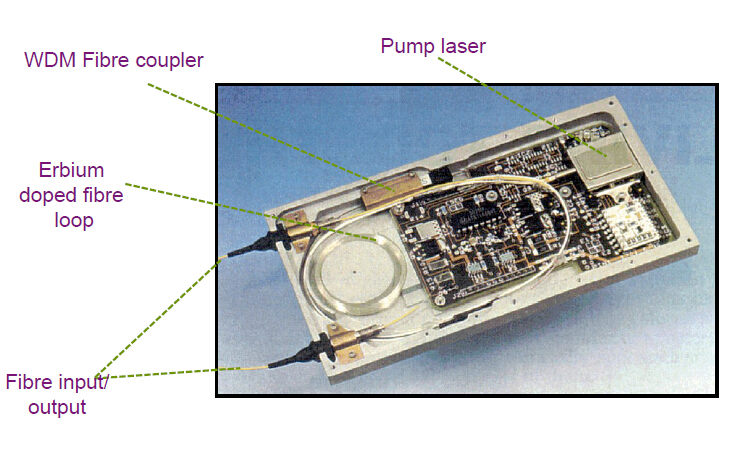 Silicon or semiconductor optical amplifier functions in a similar way to a basic laser. The structure is much the same, with two specially designed slabs of semiconductor material on top of each other, with another material in between them forming the “active layer”. An electrical current is set running through the device in order to excite electrons which can then fall back to the non-excited ground state and give out photons. Incoming optical signal stimulates emission of light at its own wavelength. 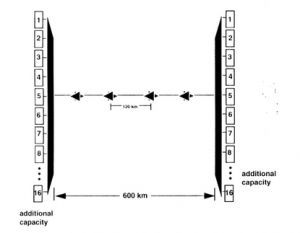 Fiber optic repeater also can re-amplify an attenuated signal but it can only function on a specific wavelength and is not suitable for WDM systems. 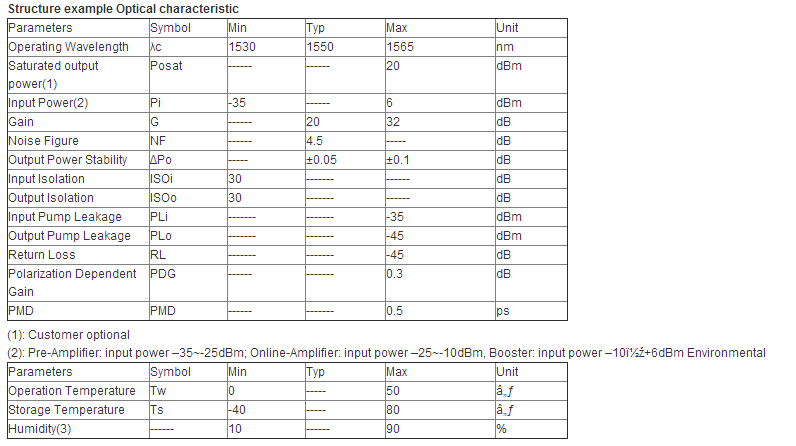 That is the reason why fiber optic amplifier plays a much more important role in communication systems. This entry was posted in EDFA Amplifier, Wiki and tagged DWDM EDFA, EDFA Optical Amplifier, optical fiber amplifier on July 6, 2013 by Admin.